An ISO 9001 certified company serving industry since 1950, Avon is your premier source for broaching and wire-EDM machining. 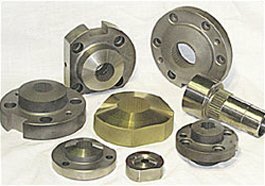 With a 30,000 square foot facility and over 75 machines, we are capable of broaching and wire cutting a wide variety of parts, regardless of quantity. Innovative broaching processes, and a commitment to continuous improvement, make Avon you best source for both broaching and wire-EDM machining. 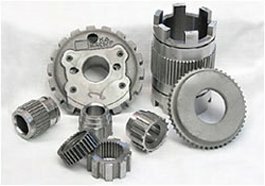 Avon Broach and Production Company has been at the forefront of quality broaching for over 60 years. Avon has been broaching components in many sizes and shapes, from tiny 1/4 inch diameter carburetor pins to mammoth turbine wheels over four feet in diameter and weighing 2600 pounds. Avon's wire-EDM department provides efficient machining and precision manufacturing of plastic injection molds, extrusion, progressive and transfer dies, templates, and either prototype or production wire-EDM services. We are committed to providing the highest quality EDM service available.